We are a leading Manufacturer of votive candles from New Delhi, India. Being a highly effective, lean and fast-moving organization, we are highly instrumental in providing an extensive array of Votive Candles provided in various trendy designs. Our reputed experts use selected wax that is quality assured, to design these candles. Available in different sizes as per the clients demand, we provide these candles within estimated delivery time. 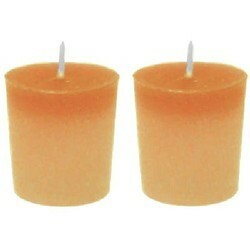 The offered candles are highly acclaimed in the market for their features such as elegant look and durability.